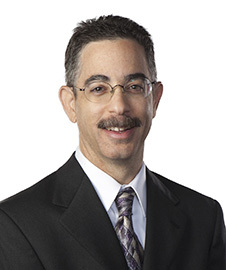 Kevin Diamond is an AV rated shareholder practicing primarily from Las Vegas. Mr. Diamond is a Las Vegas native and, as a result, has a life-long familiarity with the unique risk management challenges the gaming industry faces on a daily basis. He has represented gaming, hotel and hospitality clients’ interests in managing these risks since he began his legal career in 1993. Since joining Thorndal Armstrong in 2000 Mr. Diamond’s gaming, hotel and hospitality practice has grown and he currently represents numerous properties both on and off Strip. Given this experience, Mr. Diamond also maintains a substantial premises defense practice for non-gaming clients as well as a collections practice. As a life-long resident of Las Vegas, Mr. Diamond is very involved in the community. He serves on the Board of Directors for the State Bar of Nevada’s High School Mock Trial Committee and has been repeatedly recognized for his service to the Legal Aid Center of Southern Nevada. Most recently he was appointed by the Supreme Court of Nevada as a mentor for the Transitioning Into Practice program designed to assist newly licensed lawyers in meeting their ethical and professional obligations.